Its starting to get warm up here in Boston and spring is in full bloom. 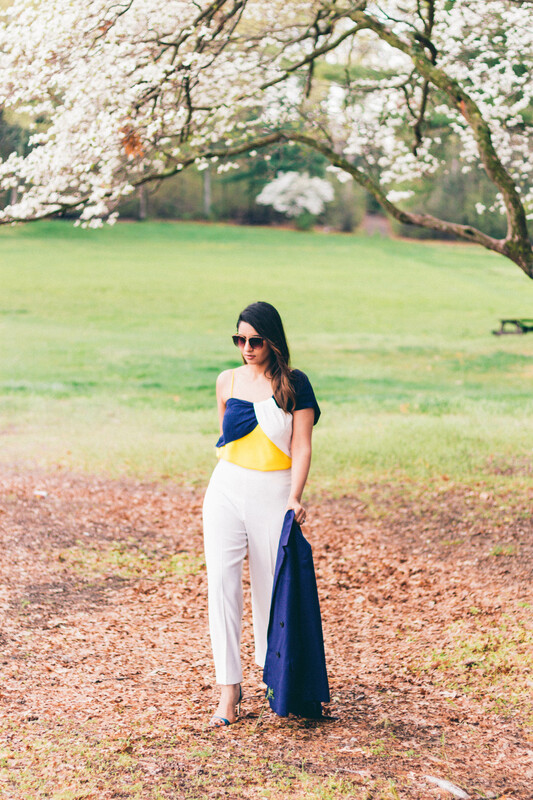 Talking about spring, I have been crushing on yellow big time this season. 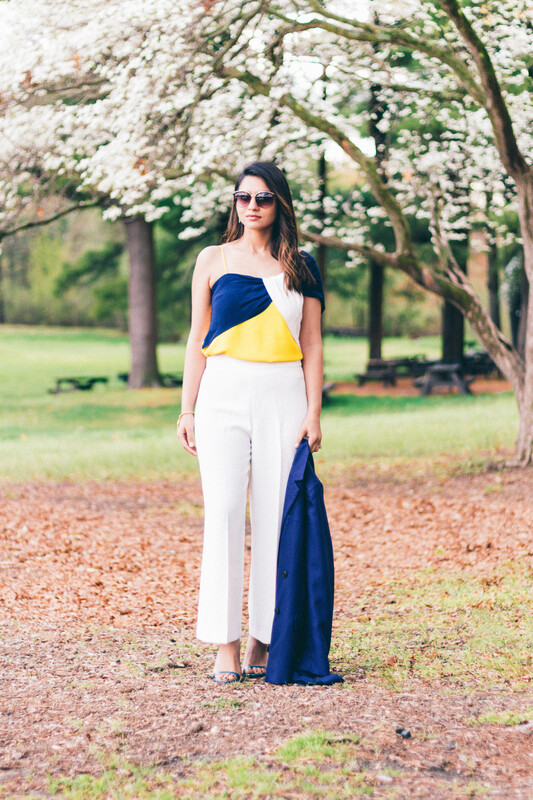 I paired this yellow tie front cami by Topshop Boutique with white palazzo pants and draped a navy blazer over the shoulders. 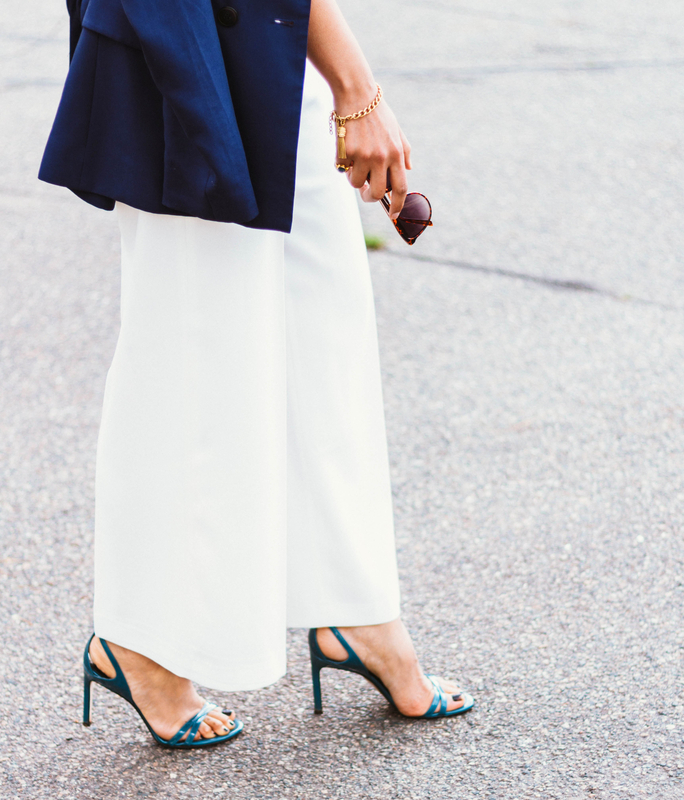 And added teal heels to complete the outfit. This top is sold out but have linked a few options below.